It is with great sorrow the family of Cleta Dotson Daniel announces she has passed away after a period of declining health. The Angels took her to her Heavenly Home the morning of March 11, 2019. She is now pain free and reunited with her son, Marty, who was her pride and joy. She was the daughter of the late Claude G. Dotson and Dorothy Dotson Ford and lived most of her life in the Asheville area. She was a member of Starnes Cove Baptist Church. Cleta was a very creative lady. Even while caring for her son, she operated several businesses from her home. She had an extraordinary talent for flower arranging and was also the owner of Cleta's Florist. After Marty died and a period of mourning, she started caring for elderly folks in their homes. She never met a stranger and everyone she cared for, loved her. She seemed to light up a room when she walked in. She was married to Robert A. Daniel for 63 years and they had observed their last wedding anniversary on March 2nd. They had one child, Robert Lamarr "Marty" Daniel. He was born with health problems that affected him all his life and he faced many challenges but together, Cleta and Bob took excellent care of him. In addition to her parents, she was preceded in death by her son, Marty, in 2014 and her brother, Ray W. Dotson. 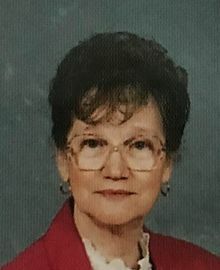 She is survived by her husband, Bob; sister-in-law, Betty Dotson; niece, Kelly (Chris) Waters, all of Knoxville, TN; brothers-in-law, Hilliard Daniel of Asheville, and John Daniel of Georgia; her beloved "other child" Belinda Rhew and many cousins to mourn her loss. A Funeral Service will be held at 2:00pm on Thursday, March 14th in the Chapel of Moore Funeral Home at Forest Lawn, Candler with Rev. Charles Sams officiating. Interment will follow at Forest Lawn Memorial Park, Candler. Please visit www.moorefh.net to sign the online guest book.